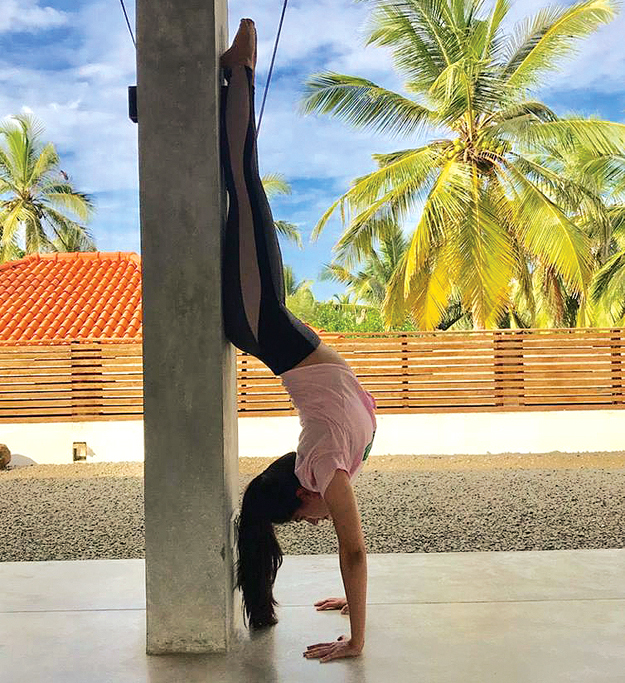 Aena is a business graduate from IBA and a practicing yogi since 2009 who trained through an intensive 200-hour yoga teacher training from Sri Lanka. She felt unfulfilled pursuing a career in the corporate world and decided to pursue her true calling. 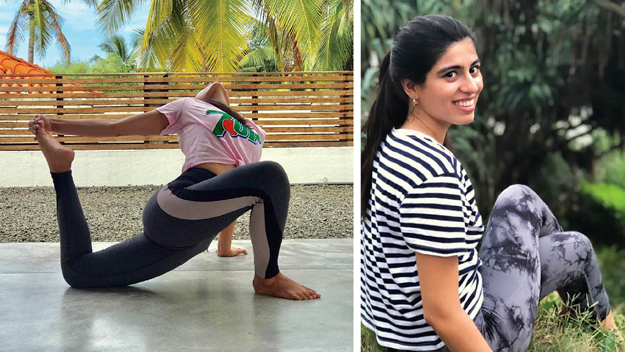 In January 2019, she made her dream come to life and is now changing lives of many as a full-time yoga instructor! Time for Fajr prayers. Right after, I have a small pre-yoga snack (half a glass of a smoothie or three dates.) My morning practice is done on a very light stomach because it allows more of my body’s energy to focus towards the various yoga poses rather than on digestion. Yoga promotes numerous mental, psychological, and cognitive benefits. This is why I like to start my day focusing on my personal practice. This time is really essential and special for me for my own mental clarity and focus. If you are teaching 15-20 classes/week, you get so burnt out that you end up not wanting to do your self-practice which can hinder your growth as a teacher and a yogi. Time for my first private yoga class of the day. Some new yoga students can feel overwhelmed in a group or class setting. It may be difficult to keep up and personal flexibility might require more time and work before it becomes easier. A private lesson allows an individual to set specific goals and plans, such as flexibility and strength. As an instructor teaching in a private setting I take the information about the student’s goals and create a unique custom class based on their needs. I head over to my mum’s to enjoy some mother daughter time while indulging myself in a filling and nutritious breakfast. (Eggs with multi-grain toast or oatmeal with blueberries). Head out again to teach two consecutive yoga classes for a small group. Lunch with my mother-in-law. I try to keep lunch very light – a bowl of seasonal fruits and a mixed salad with grilled chicken. I check and get back to emails which include feedback from existing students or responding to inquiries from prospective clients. Once completed, I find myself feeling less energetic mid-day. For me, a short 10 to 15 minutes meditation session no matter where I am is an invaluable tool to restore my peace of mind. Just by taking a few deep cleansing breaths, my body and mind begins to feel less tired and stressed and instead I feel more invigorated and centered. During this time, I catch up on some reading and designing yoga classes for my clients for the next day. Practicing yoga is great, but repeating the same poses can get boring! I keep changing it up for my clients to keep their energy level high and encourage new learning. I enjoy this time practicing my evening yoga flow with my husband. We focus on partner specific poses. 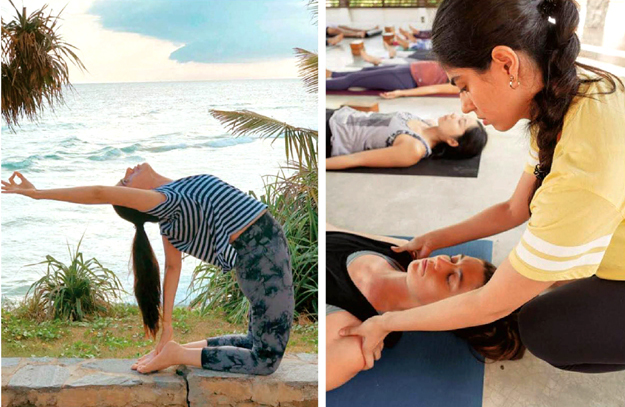 This really allows us to connect with one another, understand each other’s needs via assisted poses and at the same time improve our level of trust with one another. Wind down and prepare my clothes, meals and notes for the next day. 8:30pm: Dinner with the family.